Good news: you no longer have to dedicate your laboratory resources to building a high harmonic generation (HHG) system. The 4th generation of KMLabs' XUUS™ extreme UV ultrafast source is a turnkey system that gets you right into your experiment. XUUS4 is a coherent EUV/soft X-ray light source based on high harmonic generation. It is a fully-engineered and integrated commercial source based on a single robust opto-mechanical platform. 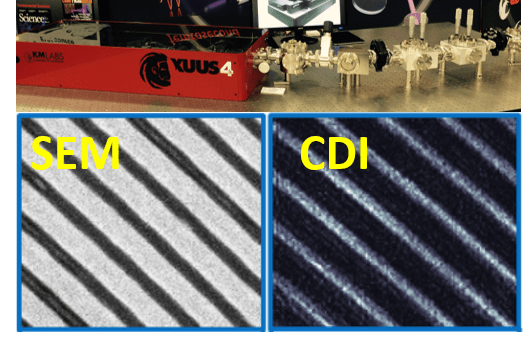 XUUS4 upconverts ultrafast laser pulses into the Extreme UV (EUV or XUV) or soft X-ray regions of the spectrum. Employing HHG processes, the output beam inherits the coherent properties of a driving laser such as the KMLabs RAEA with wavelengths that can be tuned from ~10 to 47 nm. Moreover, customized systems can generate coherent beams with wavelengths as short as 6.5 nm. XUUS4 employs KMLabs' patented hollow waveguide for the high harmonic up-conversion process. The XUUS hollow-core fiber, or waveguide, architecture enables harmonics generated by the system to be distinguished from other HHG methods, guaranteeing your harmonics originate from the same point in space every time, minimizing any pointing drift. This optimizes repeatability for your experiments. Additionally, the use of a fiber rather than typical gas jet or semi-infinite gas cell target geometries provides superior pressure tunability for phase-matched HHG. Now you can choose robustness without sacrificing flexibility.